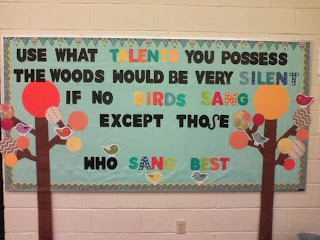 Before back to school, I posted about my bulletin boards here. Today we have a work in our rooms day and this bulletin board got a slight makeover so that it is now ready for Autumn. I always feel like I am way too busy to change my bulletin boards, so they usually stay up all year, but this is a small change that took less than 10 minutes and will be a "fresh" look for me and my students. To change out the colors, I pre-cut out the circles from scrapbook paper, and then paper clipped it over the top of my green circles until I had the colors and patterns arranged in a way that I liked. Then I took the green circles down and stapled these up! Quick and easy! 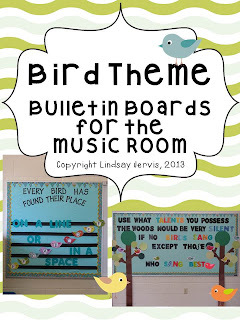 How often do you change your bulletin boards? 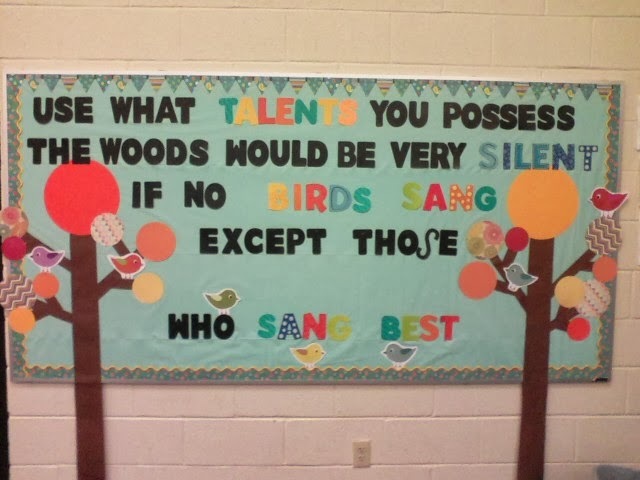 What are some of your favorite bulletin board designs? Do you have any time saving bulletin board tips? 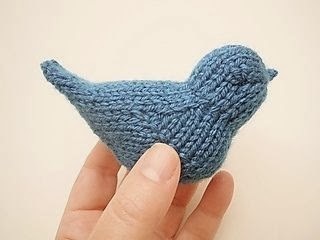 Also, I just found this awesome bluebird knitting pattern FREE on pinterest. He would be perfect for "Bluebird, Bluebird Through My Window" and some vocal exploration. I need to do some begging to the knitters I know! Click here to get the free pattern for this darling bird! I wish I had more time to update my bulletin boards. I really do love decorating them, but unfortunately I travel between two districts, so they stay the same all year. I can totally relate! My first year teaching I traveled between three schools every day! Those bulletin boards stayed the same all year long too!